The Lowrance HDS 7 Gen 3 is equipped with an all-new High Definition System which works in integrating leading-edge fish finder technologies together with the newest advancements in the field of navigation. 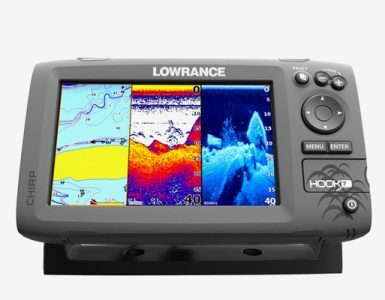 This new unit introduced under the Lowrance family is a perfect combination of multi-touch and brighter display, as well as an enhanced processor, along with advanced technologies, including Broadband Sounder, CHIRP Sonar, DownScan Imaging, StructureScan HD, as well as Trackback view. It is also equipped with the latest navigation advances, as well as user interface, including dual microSD-card slots, internal 10Hz GPS, built-in wireless connectivity, touch-plus-keypad operation, all of which can be accessed from a very easy to use screen display. It can be said that the Lowrance HDS 7 Gen 3 is on the more expensive side of the pricing scale. However, if you take into consideration all of the features that come along with this unit, you can easily say that it is worth every penny spent. HDS 7 Gen 3 is a complete setup, equipped with transducers and other items necessary in order for you to possibly maximize your time for fishing on the water. 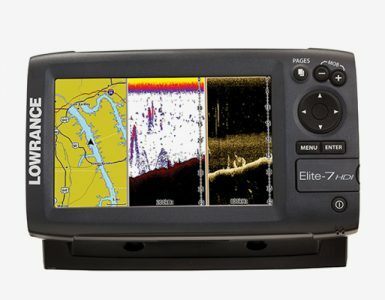 It uses both 83/200 and StructureScan transducers which provides an all-in-one solution for any fisherman who is interested, with having features such as DownScan, Traditional Sonar, and SideScan, all in a single box. HDS 7 Gen 3 is also possible to overlay images from DownScan to the Broadband Sonar, giving you great target separation and detail and providing you with the best possible fish view and structure, both to the side and below your boat. On top of the most advanced fish finding capabilities of the Lowrance HDS 7 Gen3, it can also provide you with easy-to-operate features, thanks to its touchscreen display. You may also use the keypad if you want to. It has enhanced the response of this unit by adding a much faster interface in order to drive the newest in electronics technology by turning the fastest HDS ever created. The good thing about competition is that you have different options to choose from, allowing you to consider the best one that will suit your preference as an angler. As a matter of fact, there are also other brands that are currently offering similar fish finder on the market. One of those products is the Humminbird 998c. It is considered a good option because of its advanced features, which are unique and user-friendly. It uses new technology to help anglers find the best fishing locations. It is also functional as it is not just for chart plotting, but for other tracking services as well. However, if you are loyal to the Lowrance brand, you can also choose another fishfinder under this manufacturer. One good option is the Lowrance X4 Pro, which has the capability to cover a wider area, thus allowing you to become more successful on your fishing trip. 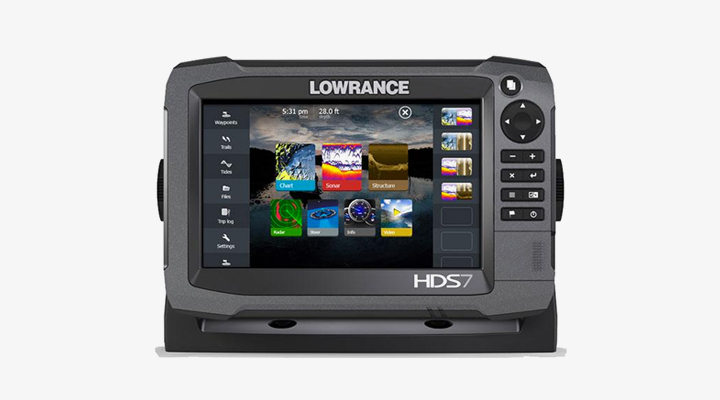 However, if you compare all of the features of the Lowrance HDS 7 to the others, it can be said that the HDS 7 is the winner in terms of advanced features. True, it may be more expensive, but this can turn out to be the best investment that you can ever make. If you are searching for the best partner when it comes to your next fish finding expedition, you can’t go wrong choosing the Lowrance HDS7 Gen 3. It has the most advanced features and a faster processor that allows you to enjoy your fishing experience. Its plug-and-play design has been incorporated into other features, including Sonic hub, Radar, Sirius XM marine weather and audio, and several others. Its enhanced StructureScan HD may be used in creating lifelike images underwater, for rivers, lakes, and seafloors. The image may be viewed as toggled or overlay on or off, depending on the preference of the user. The Lowrance HDS7 Gen 3 is also CHIRP capable and can support single frequency CHIRP transducers as an alternative to the 83/200. All you need to do is to choose from a Low, Medium, as well as High CHIRP frequency, and you can expect to experience the benefits that CHIRP offers in providing a clearer and crisper image, along with an enhanced target separation which is better than before. 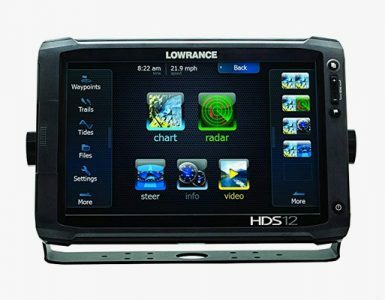 Whether you are interested in having the best in the technologies of fish finding with its easy to use touchscreen navigation chart plotter, or you are just interested in going further to explore other features on your boat, there is no doubt that the Lowrance HDS 7 Gen 3 is the best option for you. With this tool at hand, you can be assured that you can cover a wider area for your fishing exploration and that you will never go home empty-handed. You have all the capabilities in your hand, so you will certainly enjoy the entire experience. I also recommend you take a look at the fish finder reviews page.